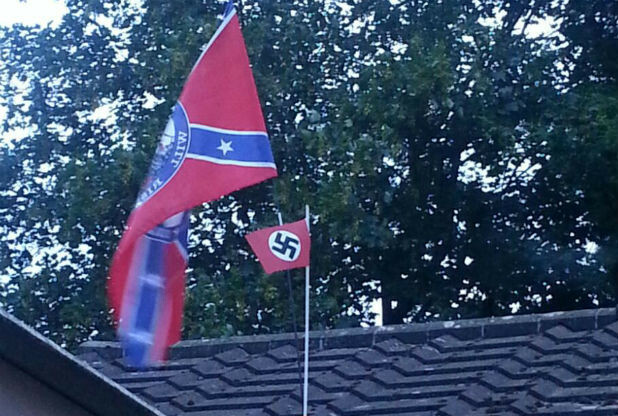 A man who had a Nazi flag flying in his back garden has apologised for any offence he has caused. 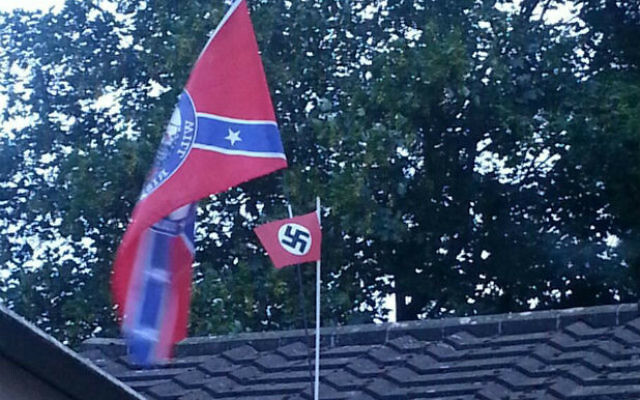 Malcolm Green, 59, said a friend had put it up on Tuesday morning alongside the US Confederate flag, but now he has taken them both down after being told he had upset people. Mr Green, of Cheltenham, Gloucestershire said the borough council had threatened him with a fine and he was scared of being arrested. Gloucestershire Police said the Nazi flag was “extremely offensive” and officers would be visiting Mr Green’s home to speak to him. “I have had the council around and they have threatened me with a fine unless I took the flag down,” Mr Green said. Mr Green said he bought the Confederate flag – which has been associated with racism in the southern United States – at the Bristol Harbourside Festival because he was a country and western music fan. But he insisted the Nazi flag was “small” and “you can hardly see it”. “It’s a bit annoying because we are a close neighbourhood,” the widower, who lives alone with his dog and cat, said. “I don’t know who put the complaint in. They should have come to me instead of going to the newspapers. “I am not going to put it back up because I don’t want the trouble. “I am frightened of the police. I don’t want any trouble and with the crackdown on racism I don’t want to get arrested. A police spokeswoman said: “Gloucestershire Police have been aware of the flag on Frank Brookes Road in Cheltenham. “Officers will be attending the property in due course to speak to the home owner.